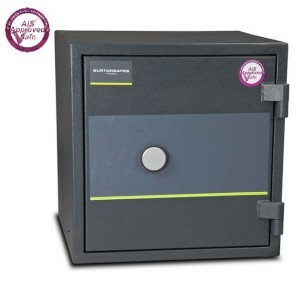 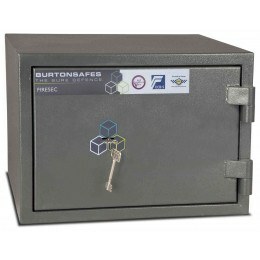 The Burton Firesec 4/60 S2 Rated, 60 minutes fire rated, Key locking, Size 1 Safe is designed for use in both the Home and Business, where the safe is required to withstand a violent and sustained physical attack as well as protection of paper documents for up to 1 hour. 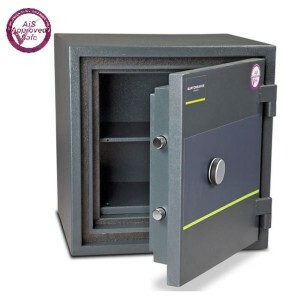 It offers exceptional security and is the most secure safe in its class for protecting personal documents such as passports and certificates as well as jewellery and valuables such as cameras up to the insurance value of £40,000. 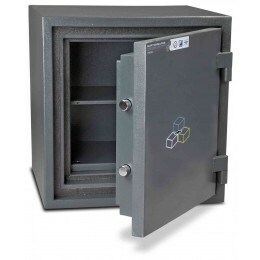 You may also wish to consider the digital electronic version or the 2 larger models in the same range.